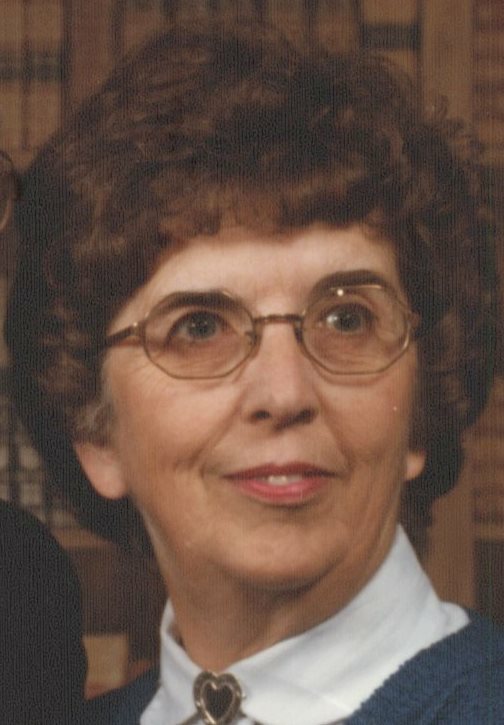 OSWEGO, NY – Irene W. Canfield, 86, of Oswego passed away Wednesday February 8, 2012, at Oswego Hospital. She was born September 11, 1925, in Ford City, Pennsylvania and was the daughter of Roy and Marie Reitler Bromley of Angola, NY. Mrs. Canfield was the wife of George R. Canfield of Oswego. The Canfields raised their family in Oswego and had also resided in Fair Haven, NY, and Florida for several years. Mrs. Canfield was a member of the Church of the Resurrection in Oswego and previously served as a vestry member and Sunday school teacher. She was active for many years in planning shut-in luncheons at the church. She also served as the chair of the SUNY Oswego Faculty Wives organization. In addition to her husband, she is survived by a daughter, Elaine (Edward) Adamski of Oswego; two sons, Gary (Jodi) Canfield of Canton and Donald (Wendy) Canfield of Black River, NY; six grandchildren, Kristin Masuicca, Lauren Adamski, Jody Bergstrom, Timothy Canfield, Lindsey Canfield and Allison Canfield. Calling hours will be 6 to 7:30 p.m. Friday at the Dain-Cullinan Funeral Home in Oswego. Spring burial will be in Springbrook Cemetery, Fair Haven. In lieu of flowers, contributions in her memory may be made to Upstate Golisano Children’s Hospital, 750 E. Adams St., CAB Room 326 Syracuse, NY 13210 or the Church of the Resurrection, 120 W. First St., Oswego, NY 13126. So sorry to hear of the passing of your mom. But upon reading it, many good memories came back. We haven’t crossed paths in years, but I remember our gang and all the good times we had. Not too many of us can say we were friends as well as all of the parents being friends also. I will pray for your quick healing and the happy thoughts that she has rejoined family and friends and maybe even catch a game of Bridge .